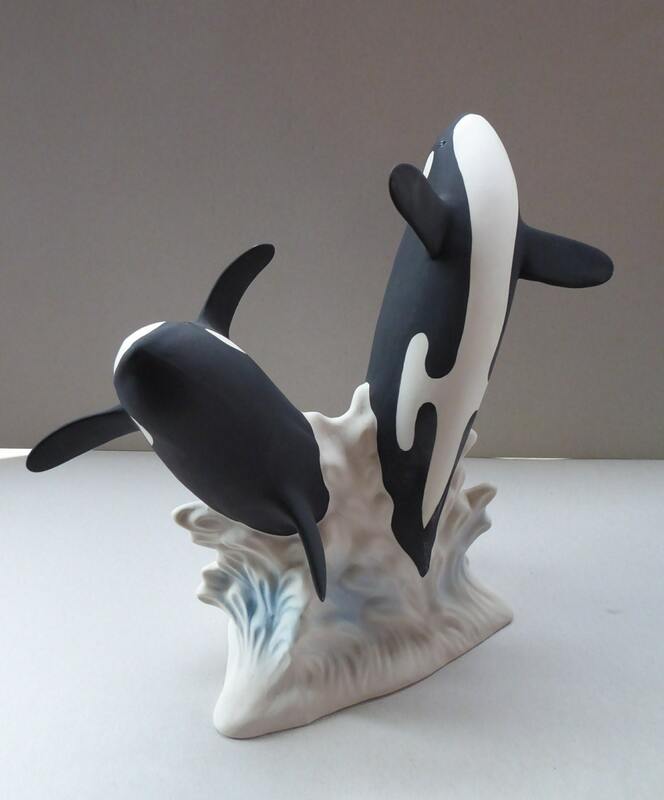 This is a really adorable model - which features two large killer whale diving about in the sea. It has been made at Highbank Pottery in Scotland. 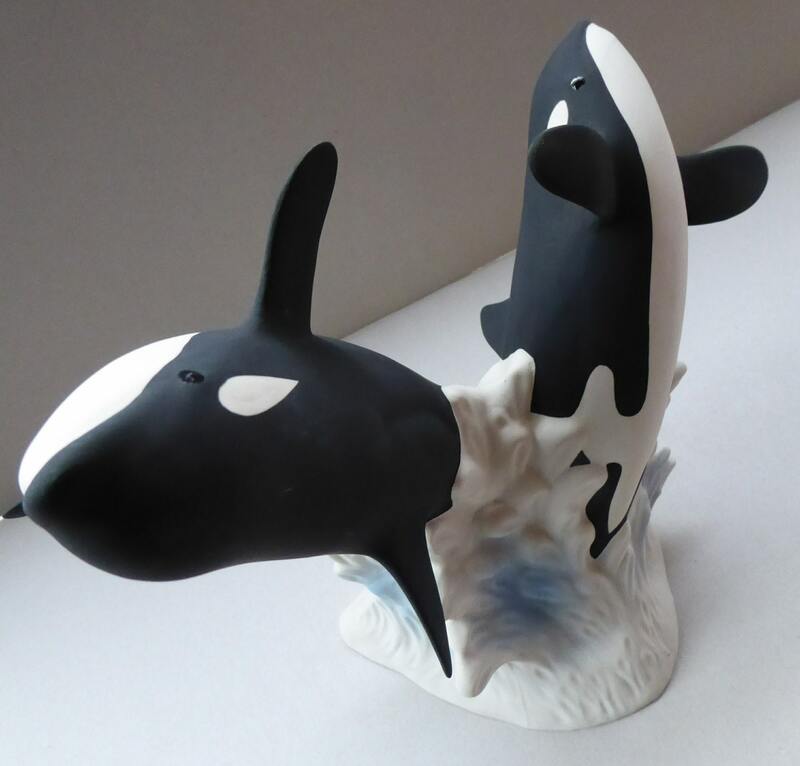 The pottery specialised in very stylised models of animals native to Scotland. 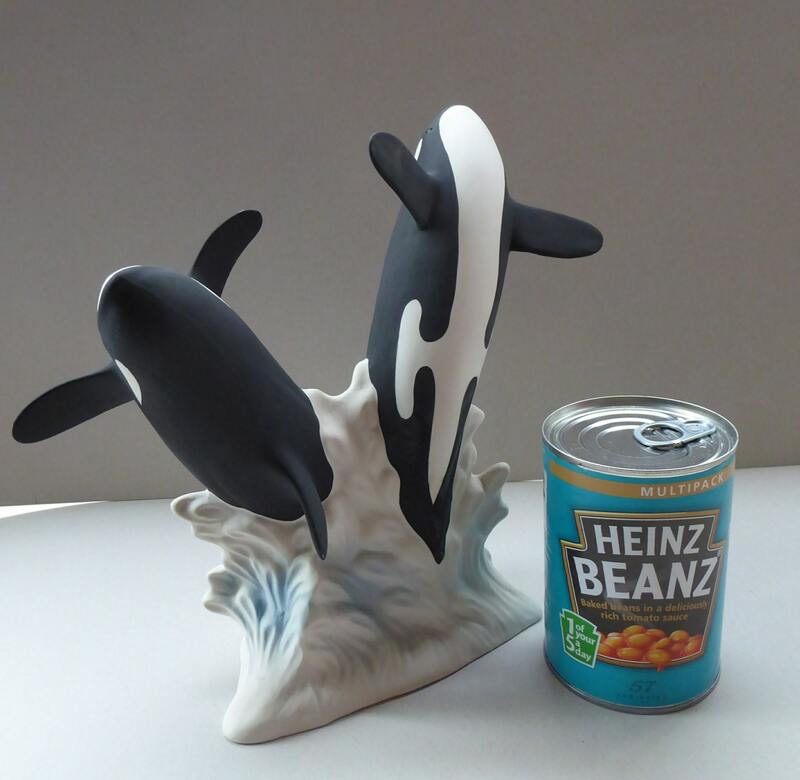 They are made of a fine porcelain - with a matt finish. 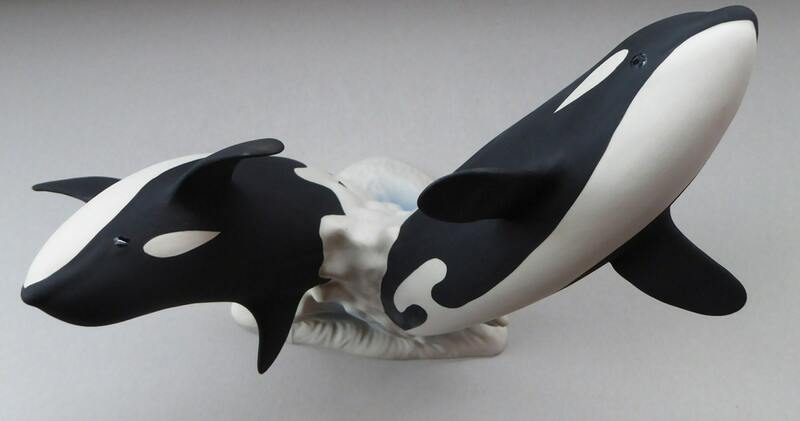 The figures are parred down of all detail and they are quite abstracted in shape and form. They are really lovely and of course in excellent condition. 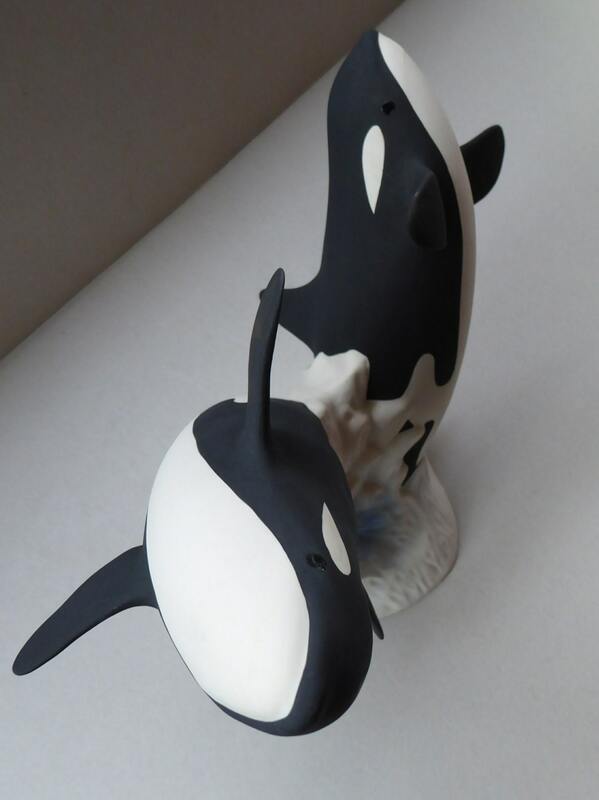 This model of the leaping Killer Whales is an extremely large model made by Highbank pottery. It is 1 kg in weight. Dimensions: Height is about 9 1/4 inches, and about the same size wide. It is certainly a fair price for this larger than the normal model (postage is going to be a little higher for this model due to the size - I will have to put it into a large sturdy box to keep it safe in transit). Postage quoted is tracked postage with the UK Royal Mail. Happy to post internationally, please ask for a postal quote outside of the UK.